Flue Direct is the UK's main supplier of stainless steel multi fuel insulated twin wall flue pipe, selling premium quality HETAS approved twin wall chimney flue in all diameters at the best prices. 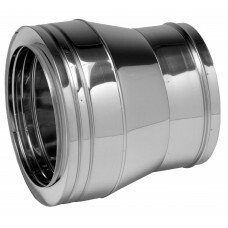 Our dedicated team of advisors can also provide you with FREE design advice for your twin wall flue system to make sure you have all the parts you need for your flue installation. If you need help with how to install a twin wall flue system you can refer to our FAQ's section or contact us for further advice. We always advise using a HETAS approved installer and to have you chimneys swept by a qualified chimney sweep every 12 months. 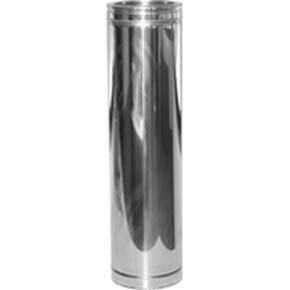 We offer unbeatable prices on our twin wall chimney flue which is available in stainless steel or black finish (interchangeable) with a Price Match Promise that if you find a like for like system we guarantee to beat the price. 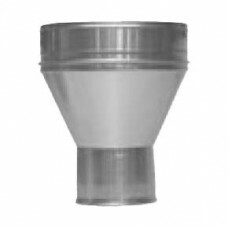 We supply Dinak DW and KC twin wall flue which comes with a 10 year Warranty and have been using this top quality product for years. We are dedicated to providing a fast and reliable delivery service throughout the UK on all orders, with orders placed before 12.30pm being processed the same day. If you spend over £150 you will receive FREE DELIVERY. 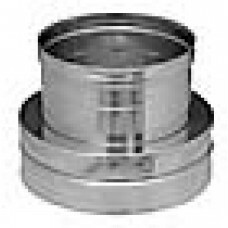 Twin wall flue can be used where there is no existing chimney. It can be uses internally and externally and pass through, walls, floors and the roof depending upon the flue route required. Our Dinak flue system (EN 1856-1 T450 N1 W VmL50040 G60) and KC Convesa flue pipe range (EN1856-1 T600 N1 W VM L50040 G60) are both HETAS approved and fast and easy to install and due to their quality manufacture, plus they come with a 10yr warranty. 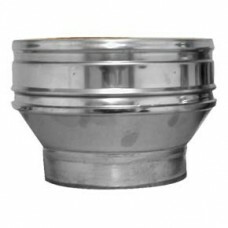 Suitable for all types of multi fuel applications using wood, solid (coal), oil, gas, diesel, biofuel and pellet appliances. 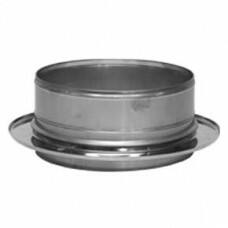 Both twin wall flue systems are suitable for condensing and dry applications (you must order seals/joints with each component of flue pipe for condensing applications). Our stainless steel, insulated flue systems are available in 3" 80mm, 4" 100mm, 5" 130mm, 6" 150mm, 7" 180mm, 8" 200mm, 10" 250mm, 12" 300mm and 14" 350mm. 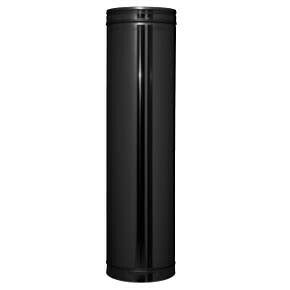 5" 130mm and 6" 150mm 7" 180mm and 8" 200 mm are also available in black. 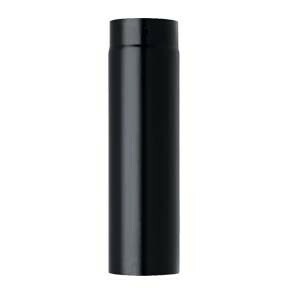 Black/stainless twin wall flue are fully interchangeable. 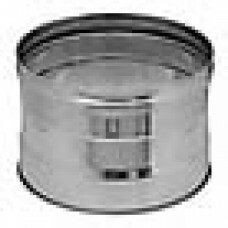 Widest range of diameters available on the market along with all the variations of components required for both domestic and commercial installations. 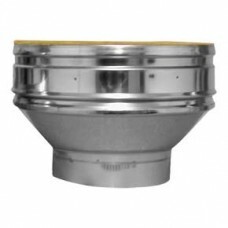 Perfect choice for biomass boiler flue installations. 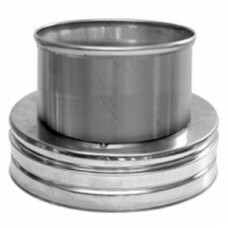 Our Chimney flue truly is a 'Fitter Choice' as it comes in all the possible diameters required, with all the possible components for commercial and domestic applications and with the ability to increase flue size going up as necessary. It is a simple push fit joint system that is both fast and easy to install and comes fully welded to ensure a superior finished twin wall system (60mm to combustibles). Please ensure that the finished system is as vertically straight as possible. 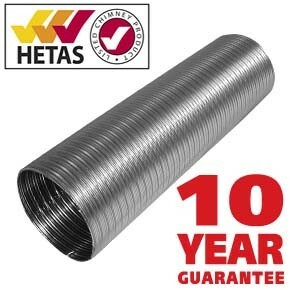 All domestic flue installations should be carried out by a HETAS approved installer. 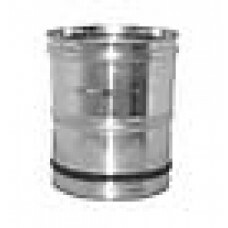 For condensing applications please order and fit and seals with each component. The chimney should remain as straight as possible and be high enough to ensure sufficient draught to clear the products of combustion. The height necessary for this will depend upon the type of the appliance, the height of the building, and the number of offsets within the system. 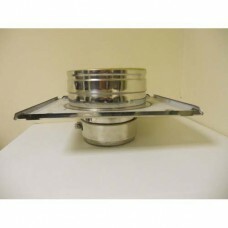 However, a minimum flue height of 4.5m should be achieved as recommended in the Building Regulations. All chimneys must comply with the Clean Air Act. The size of the chimney system should be as recommended by the appliance manufacturer and in most cases should not be smaller than the appliance outlet. This is a modular single skin chimney system manufactured to BS EN1856-1, constructed from AISI 316L fully welded liner and is CE approved. 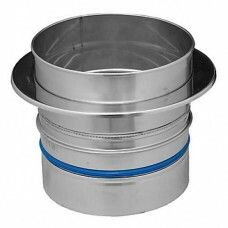 It is suitable for gas, oil and solid fuels and for dry, condensing (wet) or non-condensing applications. Tested for soot fire resistance for chimney lining.